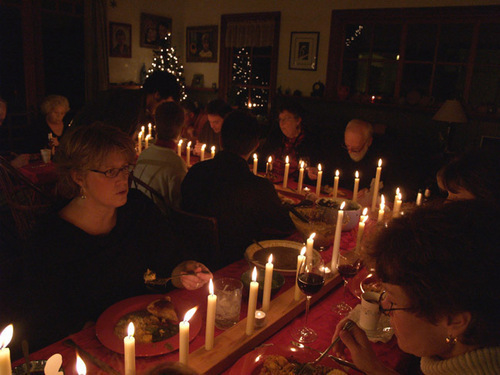 Each year, our big event is to host a dinner party for family and friends alike, on Christmas Eve. This year, the guest list rounded out at 25. 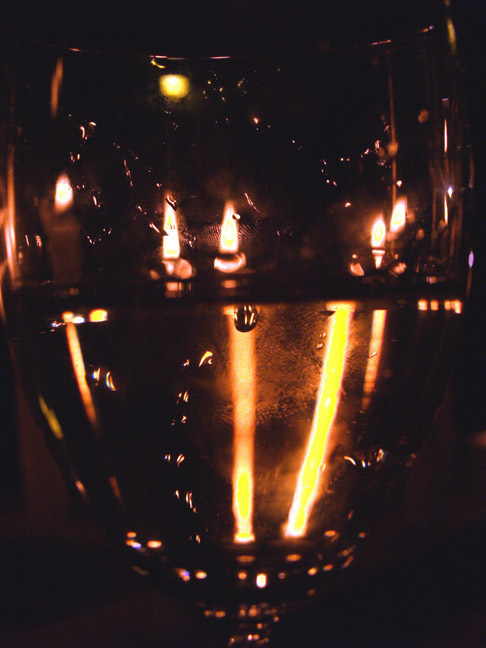 My goal is to create a magical atmosphere in which everyone can relax and revel in one another's company. 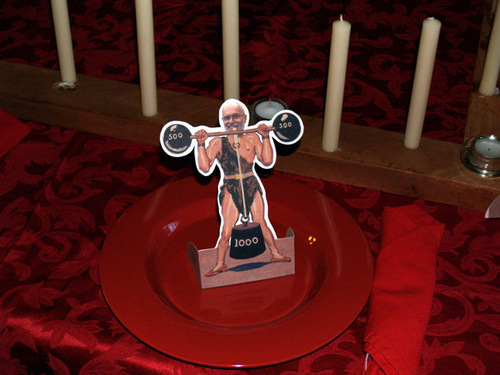 Each place setting is designated with a cutout. This year's theme..."The Gothard Circus". Drawger Jos. A. smith sits here. 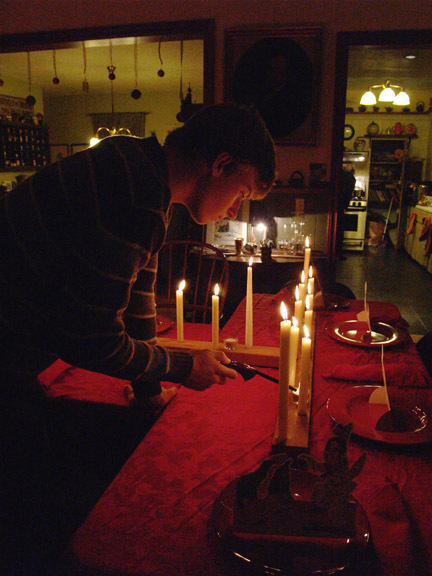 Our son, dylan, lights the 100 plus candles before the guests arrive. With everyone in full attendance, the feast begins. Mrs. G, in the left side of this pic, finally gets to relax. 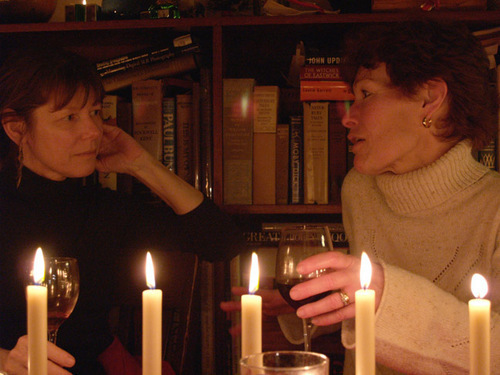 Afterwards, good conversation continues through the night. Meanwhile the cleanup crew breaks down and our house is restored to , well....it's original chaos. Post dinner, the kids retreat to the guest room, where they pile onto the couch, and hopefully, another warm memory is established. 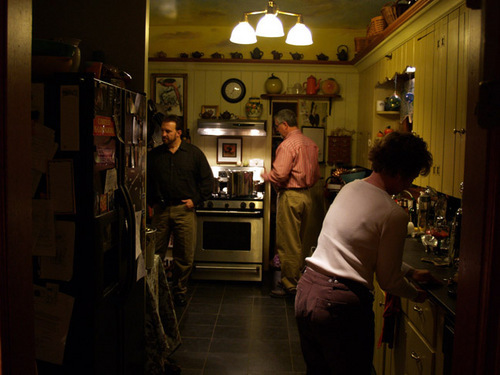 David, Thanks for the glimpse of inside the Gothard household over the holiday. It's an incredible effort you go to...well worth it, too, I'm sure. The "Gothard Circus" is wild! It looks grogeous, David! Wish I were there! 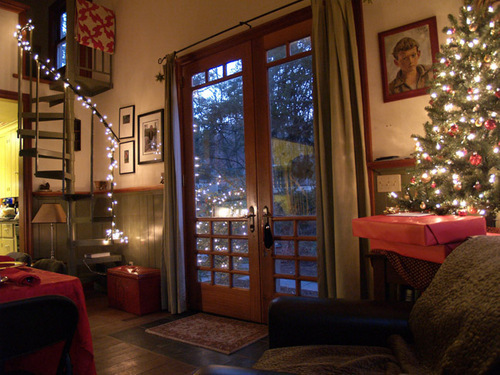 Your place looks beautiful. I'm playing with sheetrock in our mudroom. Warmest regards to you and your family. Wish I had been there my friend.....perhaps next year....I'll bring tall tales to tell. The house looks fantastic...you guys know how to celebrate! David it looks so warm and cozy. Happy New Year.